Hello! We're back to the Pretty Real Home Series. This time, we're interviewing Jessica of Live the Fancy Life. Jessica has become one of my closest friends over the past couple of years. 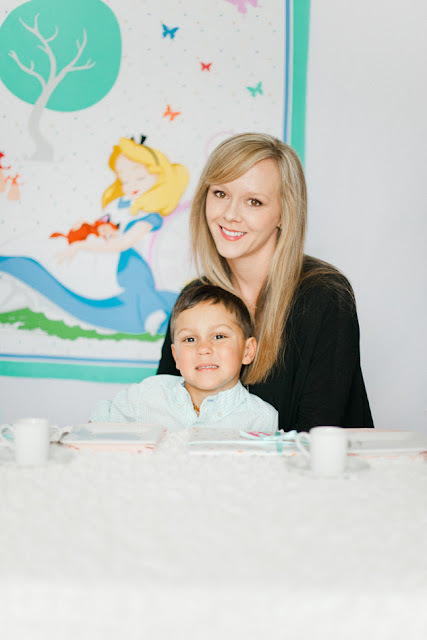 We bond over blogging, our boys (who are just a couple of months apart), and a love for design, parties, photography, and writing. If you've never checked out Live the Fancy Life, you just have to. Jessica has such a way of making "fancy" life seem attainable. It's pretty, fresh, positive, and chock full of amazing inspiration. Jessica is a beautiful person and coinciding with this series, has a beautiful home. So let's chat with her and get some great advice shall we? Tiffany: Hi Jessica! Let's start by hearing a little about yourself and your family? Jessica: Hey hey! I’m a mama of two fun little boys, a wife, travel-lover, freelance writer and lifestyle blogger at LivetheFancyLife.com. My boys, Bodhi (almost 5) and Ezra (22 months), keep me busy, laughing and endlessly entertained. 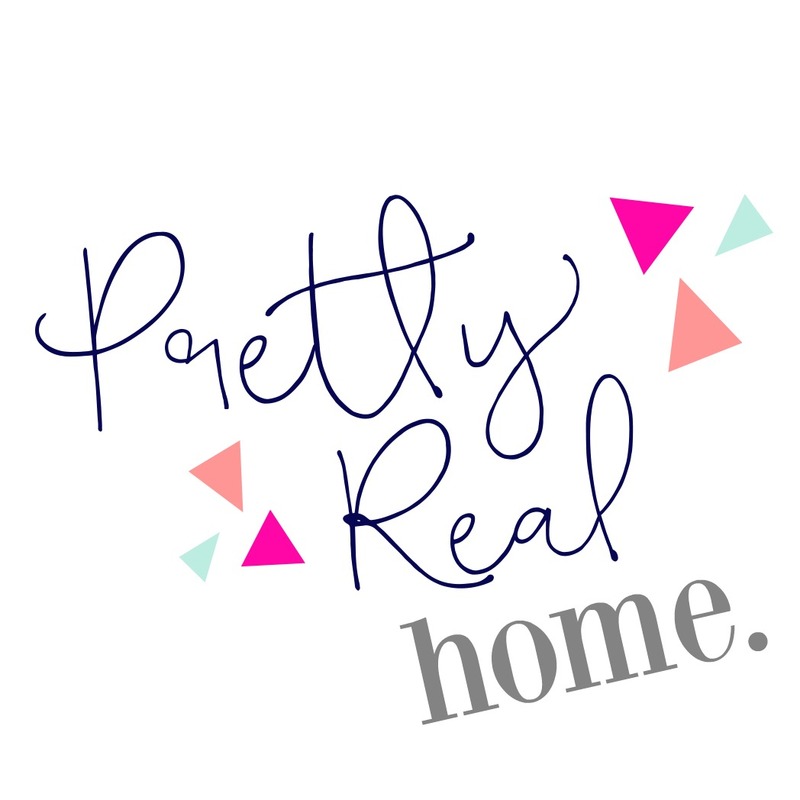 I cover home design and decorating, easy entertaining and parties, simple affordable fashion for boys and moms, healthy living and more on my site. Tiffany: I love how diversified your blog is! There's a bit of something for everyone. I've noticed you've been focusing more and more on home design and that makes perfect sense--I chose you for this series because you have beautiful and consistent style in your home. Have you always been good at decorating? Jessica: It’s funny you ask this. Yes, to some degree. The summer before I went to college, I spent weeks working with a close friend to reupholster two antique chairs we found in my grandma’s house. We upholstered them in black and white leopard print fabric. Totally not my style anymore, but at the time, my dorm room was pretty fab! We also sewed matching pillows and I was always browsing thrift stores and Target for ideas, but of course, didn’t have the budget for it back then. I became a rock star spray painter and always knew I could recover, reupholster or paint pretty much anything to make it work for me. While my style has evolved dramatically, yes, I’ve always been interested in design and decorating and pretty good at it for my age/budget at the time. Tiffany: this is so funny because my college dorm room was filled with animal print! See? We would've been friends even then. ;) You mentioned that your style has changed. Can you describe your style? And what advice do you have for readers who haven't quite nailed theirs down yet? Jessica: My style is a little undefined, but is generally clean, bright and classic. I am someone who completely appreciates almost every home design style and used to actually waiver on my own every time I saw any beautiful room in a magazine. I’ve learned after a few too many design mistakes and a lot of trial and error, that I’m much more classic (not necessarily traditional though) than I ever thought. 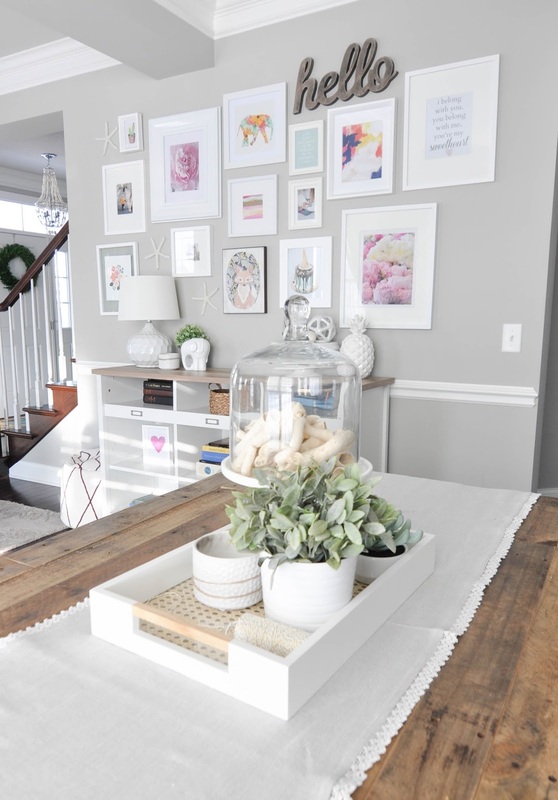 I use a lot of white and bright neutrals in my home and layer in color and character. I hope that it makes our guests feel happy and cheerful. So, for those who haven’t quite nailed down their own style, I say to keep exploring, but don’t make any big purchases yet. I’m currently stuck with a mid-century modern style buffet that is beautiful, but doesn’t go with anything else in my home. I bought it before I truly understood the aesthetic I was going for in my home. And if you see a room that just speaks to you, there is no harm or foul in copying it if it feels right. Some people don’t have design sense the way others do and recreating an inspiration room is completely ok! "If you see a room that just speaks to you, there is no harm or foul in copying it if it feels right"
Tiffany: Glad to know it's sort of a journey in defining our styles. And you and I have discussed "originality" before and I love your freeing advice that we don't always have to be original. What's your number one piece of advice for keeping our homes pretty real-- pretty but realistic for life with kids? Jessica: I can’t do one. I just can’t. I'm so sorry! Less expensive sofas and rugs, lots of throw pillows and pretty blankets, easily wipeable furniture, baskets throughout our home with toys and kid stuff and a large designated kid space. For us, that’s our basement. We have toys in baskets on our main level too, but the basement has the majority of it and it allows our home to generally stay clean. I also incorporate the kids’ stuff into my house. For example, their books are on the coffee table and their toys are in a cute basket next to the fireplace. I don’t hide it all. Their play kitchen is actually out in the open. I just keep it simple without too many extras and it blends in nicely. Admittedly, I choose and curate which items are more on show than others, but I think it’s so important kids feel at home too. I also have a pretty playful aesthetic, so our art definitely appeals to our little ones. It’s not too serious or stuffy at all. "I think it's important that kids feel at home too...I have a pretty playful aesthetic"
Jessica: Yes! Definitely. It’s evolved some for practicality reasons, but mostly because we moved into a new home. We went from a really cool but older 50s house that looked best with midcentury and modern pieces in it to a more traditional suburban house which I chose to decorate very bright and neutral because I’ve learned that I prefer a bright inviting home. Tiffany: You do a great job at using brights without it looking garish...and I love your hi/lo approach. What tips do you have for designing one's home on a budget? What’s your favorite source for affordable finds? Tiffany: Ha! We can continue offline. I need to hear those lighting sources! ;) Next question-- How do you stay true to yourself among all the inspiration via blogs and Pinterest? Jessica: I’m just not a big comparison person. I don’t get jealous of others and don’t really compare much at all, so I don’t struggle much with that. I only look at Pinterest for ideas when I’m planning specific rooms. I don’t just peruse very often because I know it would start to get my wheels turning when I simply don’t need them turning. I feel like I have limited bandwidth in my mind for room design stuff and I do best when I focus on one room at a time. I’ve also learned that while I can see a mid-century modern room or a really fabulous colorful eclectic room and love it and appreciate everything about it, it’s simply not me. It’s taken time, but I just know. "I don't peruse [Pinterest] very often because I know it would get my wheels turning when I simply don't need them turning..."
Tiffany: I envy that! ha! I've always struggled with comparison and it's no good friend! What's your favorite home trend right now? Jessica: Painting interior doors different colors. I haven’t done it yet, but I love the concept and love that I could add color that way. Tiffany: Glad to hear you say that- we just bought Sherwin Williams "Iron Ore" to paint the interior of our front door. I'm excited! I can't wait to see what you do and what color you choose. Which is your favorite room in your home and why? Jessica: Tough call. Our laundry room ties with our not-so-formal dining room. The dining room gets SO much light and the newish gallery wall in there makes me happy. I tend to work at our dining room table many days each week and the room is just so lovely and not formal at all. It’s a south facing room so the sunlight really nails it! Tiffany: Sunlight is clutch! It can make all the difference. 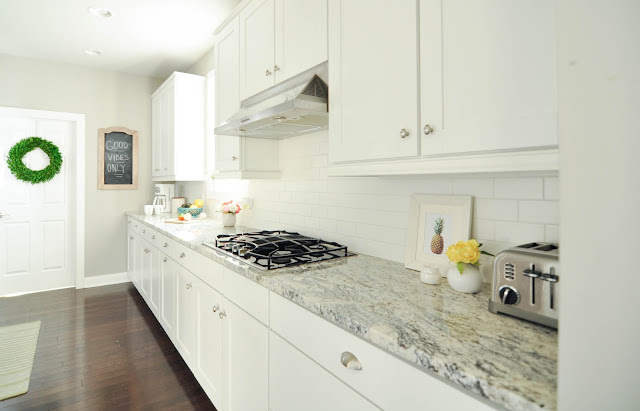 Describe the most functional space in your home? What makes it work? Jessica: Laundry room. Hands down! We had it completely redone last year and it’s life changing. It doesn’t look like that photos most days. Instead, it’s more like a giant master closet, but it works SO well for our family. I fold and store things in there and it used to be a process that was a mess, so having a room that is just so functional for us is really amazing. Tiffany: Oh your laundry room. It is so beautiful friend! 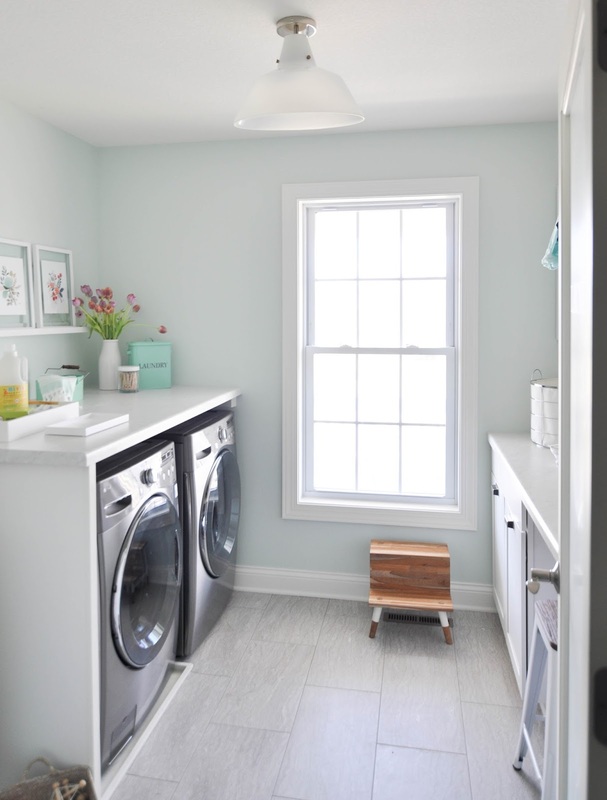 Typically a laundry room might fall low on the priority list but yours makes me want to move ours up the list! What would you say to those who would like to make changes in their home but are clueless on how or where to start? Jessica: Finding your general style is important and can take time. I’d say start a Pinterest board titled something along the lines of “my home style” and pin every single room you see that makes you happy. Do that for a month or two and at the end, take a look and find trends to figure out what really draws you in. Do you love white walls? Or do you prefer color on the walls? Do you like darker moodier spaces or bright spaces? Do you prefer minimalism when it comes to small objects and styling or do you prefer more? Figure that out first. I also highly recommend either planning out rooms yourself from top to bottom or hiring someone to do it. Interior designers are great, but with a smaller budget, you could just hire someone to do a virtual design for you based on questions and style. There are a lot of bloggers who do this and do it in a more budget-friendly way for people who can’t hire an interior designer. "Finding your general style is important and can take time." Tiffany: Great advice. What’s your biggest design challenge? Jessica: Dealing with cat claws, cat hair and kids. Our cats and kids are a huge part of our lives and we love our big family so much, but kids and cats create major challenges. I’ve had to think so much about sofa fabrics and rugs that the cat claws won’t destroy. This is something I never thought I’d spend hours researching, but I have. Tiffany: End with a favorite quote or motto (original or not- up to you! )- it can be design related, mama related, work related, attitude related- anything you live by that inspires you. I forgot to ask Jessica this one but she is my friend who will always encourage me to be kind to myself. Isn't it funny how we are kinder and more encouraging to our friends than we are to ourselves? I love that positive reminder. More about Jessica: Jessica is a Minneapolis-based lifestyle blogger and editor at LivetheFancyLife.com and OhBoyStyle.com, a freelance writer, communications consultant and contributor at Momtastic.com. Jessica is a wife and the mother of two wild and fun boys, Bodhi and Ezra. 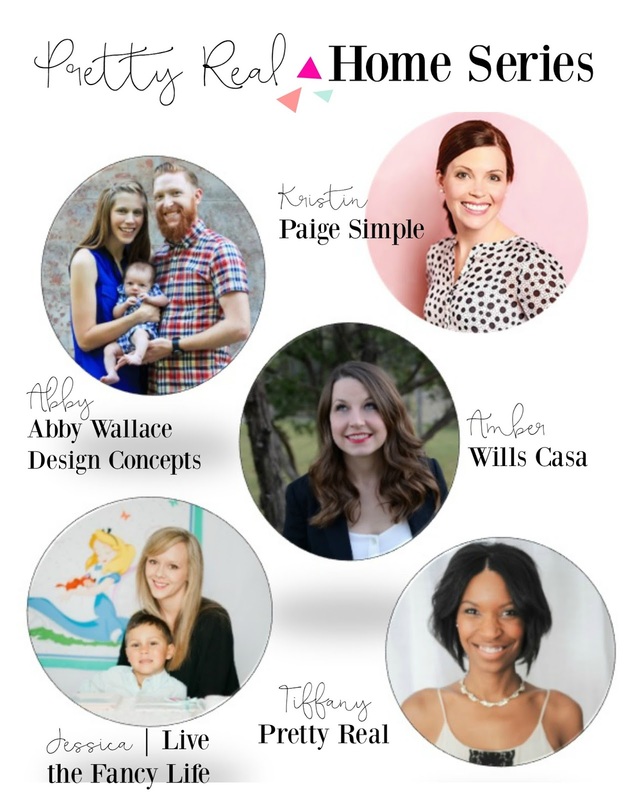 Live the Fancy Life has been featured on Apartment Therapy, Style Me Pretty Living, Better Homes and Gardens, Hostess with the Mostess, I HEART Organizing and more. 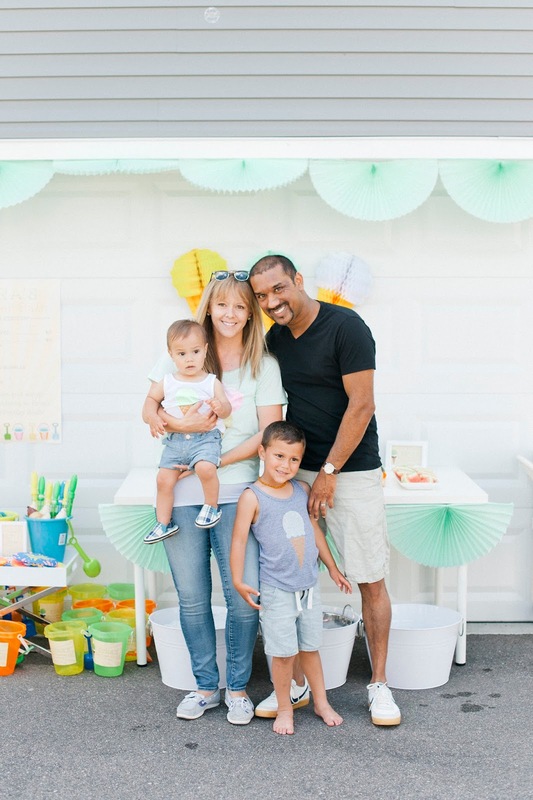 Jessica has brought her authentic voice and beautifully styled images to brands including Minted, Target, Caribou Coffee, Famous Footwear, CarpetOne, Cold Stone Creamery, Kohls, Sauder and more. When Jessica isn't working, she is playing with her children and planning her next travel adventure with her family. You can find Jessica on Facebook here, Twitter here, Instagram here, and Pinterest here. Thank you so much for taking the time to chat with us today Jessica! 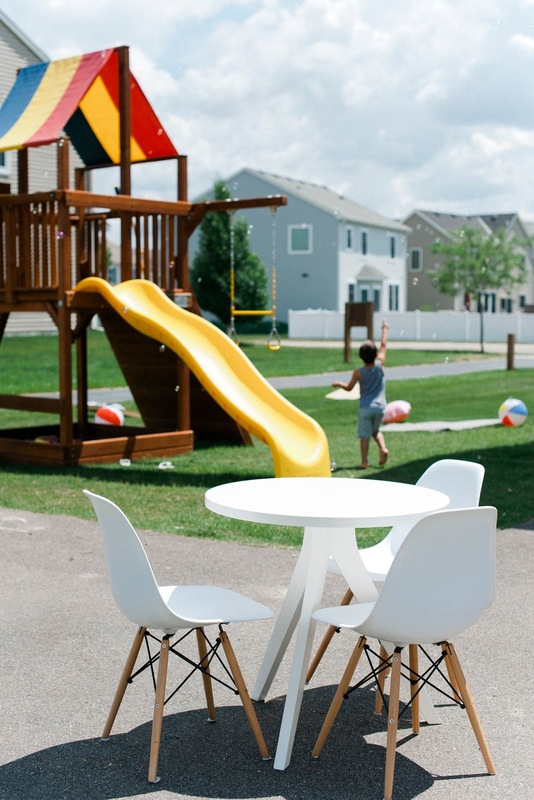 Your home is stunning and it was great to hear the story behind it as well as your tips and tricks for getting some kid friendly style into our own homes! Next week come back to hear from one of my New Hampshire friends and the talent behind Abby Wallace Design Concepts. Her mid-century modern style is to die for! 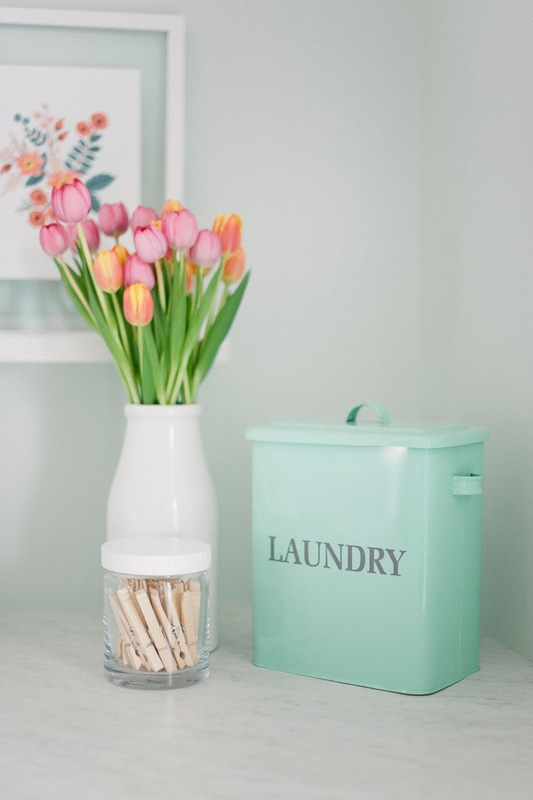 Jessica's laundry room is my major inspo. I love that space! !